Every once in a while, we get some amazing fan mail. 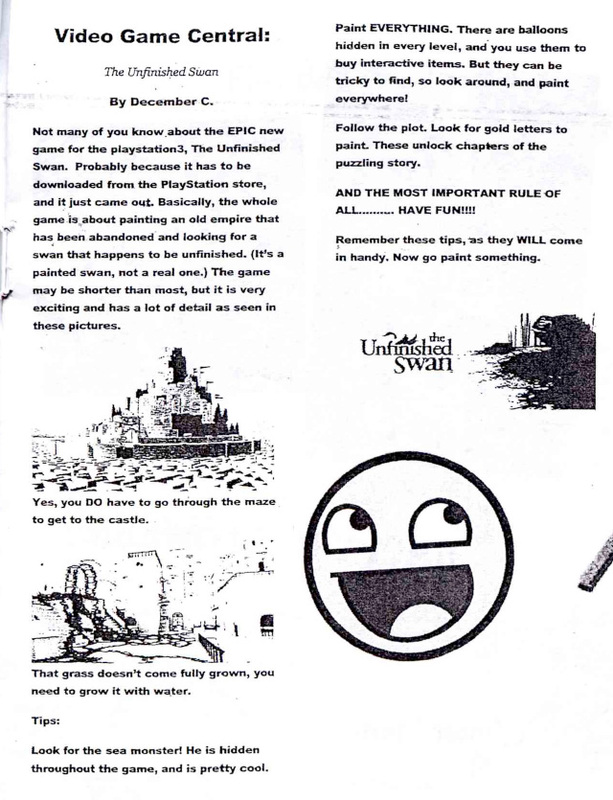 This one happens to be a review of The Unfinished Swan, published in Pleasant Hill Middle School’s newspaper “The 6th Grade Times”. December C. gives you some tips about playing the game, and reminds you of the most important rule of all… have fun. 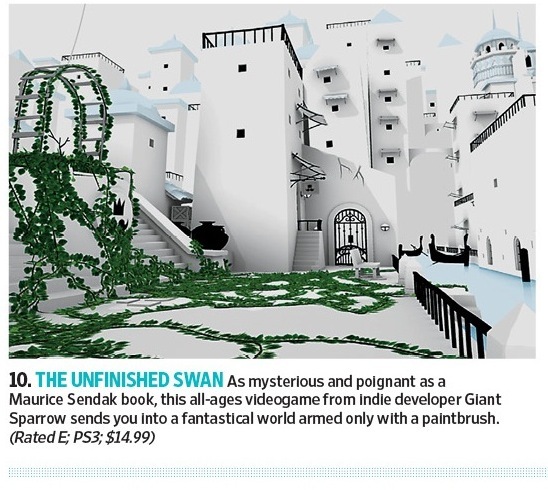 It’s been 2 weeks since the release of The Unfinished Swan. Since then, we’ve received a number of thoughtful reviews. Check out our favorites here! – First off, it’s a great honor to be featured in Entertainment Weekly‘s “Must List”, here’s a scan from the article!